The year is 20XX and Dr. Dimo has taken over the world with his robot bosses. Do you have what it takes to stop the evil inventor and save the world from his mechanized creations? To be honest, probably not. Or at least not right away. See, Dimo's levels are hard. And not stupid hard like a level that hasn't been tested properly. Hard like Mega Man 9. Each stage in Mega Man 9 was punishing, but once you beat it, you felt absolutely wonderful and proud of yourself. I know I did, at least. Dimo's levels are like that. Each platforming element is extremely harsh, but you are able to get past it with a little patience and practice. Levels like these most certainly won't appeal to your average cool leveler who just wants to smash rocket cars into bombs, but that was never Dimo's target audience, anyway. These levels appeal to the gamers who suffered through old '80's Nintendo games that were unforgivably hard on purpose so the player has to keep coming back for more. The games would take longer to beat and it would justify paying 50 dollars for a game, because of how much time you took to pass it. So, if you guys are up for the challenge, let's all go on a Robo Rampage and explore Dr. Dimo1138 and his robotic creations! I forgot to water the plant, and THIS is what happened! My first levels are Robo-Rampage, Robo-Rampage II – Dr.Dimo’s Great Escape, and Robo-Rampage III – Dr. Dimo’s Last Stand. These were the first levels I had made. They’re a little rough around the edges, and they are VERY difficult. I only suggest these for those who have finished the Robo-Rampage X series that want a little bit more of the back story. After that, as soon as the paintinator was released, I made Robo-Rampage X and Robo-Rampage X 2. These levels were a significant improvement over my previous attempts, and by this time, my sense of LBP aesthetics had improved as well. Again, these levels are intentionally difficult, but highly rewarding when completed. At this point, I had all but given up on LBP for a lot of reasons. Untill, that is, I heard about LBP2. At that point I decided to go all-out, and bring the RRX series to an epic finale. I teamed up with a good LBP friend of mine, Vmethos, and started work on my most recent project, RRX3, which consists of the following levels: Robo-Rampage X 3 (part 1), Robo-Rampage X 3 (part 2), Robo-Rampage X 3 (part 3), Robo-Rampage X 3 (????? ),Robo-Rampage X 3 (final) and Robo-Rampage X 3 (final part 2). And, riding the high that gave me, I popped out a quick mini-level, Robo-Rampage X 3 (prologue). All the levels of RRX 3 are among my favorites. They’re the most technically and aesthetically sound. RRX 3 (final) and (final part 2) are up there, as they’re both huge boss-fights, which is my favorite thing to make. RRX3 (prologue) is also up there. It’s got a great look, and a really cool boss. My first full level was Robo-Rampage. It had some cool things going for it, but, honestly, it’s kind of a mess. But, who’s first level ever isn’t? When it comes to LBP, I make the games that I want to play. I’m probably a bit older than a lot of LBPers. My first home gaming console was an Atari 2600, and I still, to this day, think that the days of the NES/SuperNES were the pinnacle of gaming. That being said, I wanted to re-capture, in a way, the “olden days” of gaming where a game had to rely on gameplay over graphics and a high challenge level was needed for replayability. My favorite games, in a nutshell, are the original Mega-Man games and the Legend of Zelda series. These days, though, I don’t play a lot of video-games. I feel that most developers aren’t making games for people like me anymore, so I stick to mainly just LBP when it comes to console games. I also like a lot of non-video-games, like MtG. Anything where you have to exercise your mind and outsmart your opponent. Create mode, and the awesome people I’ve met from the LBP community. Man, there’s been a few scares, but the one that sticks out in my mind is, shortly after I published RRX2, the level was unloadable. I freaked out for a bit untill I realized that, somehow, a magic mouth I tweaked messed up the level. Once I knew what the problem was, it was a quick fix, but it certainly was scary for a bit, after all that work, to have the level be unloadable for other players. Hrmm. No, nothing major, really. Maybe a few enemy designs I found to be impractical, but nothing huge. And, now with the LBP2 tools, I can go back to them and give them the life they couldn’t have had in LBP. If you worked for Media Molecule, what would your first order of business be? This could be anything from adding materials or tools to eradicating H4H. Giving me a crown, lol. Just kidding. I don’t know, I think for the most part, MM is doing a phenominal job. Sure, there’s some issues, like H4H and the Cool Levels page being filled with uncreative, poorly implemented non-sense. But, LBP, as a whole, is still very young, and I trust that MM is going to do everything they can to progress the LBP experience. If you had asked me this before I had gotten into the LBP2 beta, I would have had a list, but LBP2 seems, so far, to have everything anyone could want, at least for the time being. Awesome and varied materials, and cool effective new tools. You've been doing the Robo Rampage series since the very first days of LittleBigPlanet, back in 2008. Do you have any interest in doing levels that follow a different theme, or do you feel you'll continue on with Robo Rampage in the future? I’m definitely into doing something different. With LBP2 around the bend, it opens up a lot of options. That’s said, I will continue to make levels with the established Robo-Rampage themes. We've already established that your levels are really hard. A lot of players, to counter that, place Infinite Check Points in their levels, but you haven't, not even in your newer levels. Do you think you might ever give in and make "Easy Mode" versions of Robo Rampage at some point? Simple answer: I don’t think so. The levels are as they were intended. Though, the thought has crossed my mind more than once. Again, with LBP2 on the horizon, there will be more creative means of adjusting the difficulty. Your boss battles are very interesting and extremely innovative. Most of your bosses even have several different forms or states. 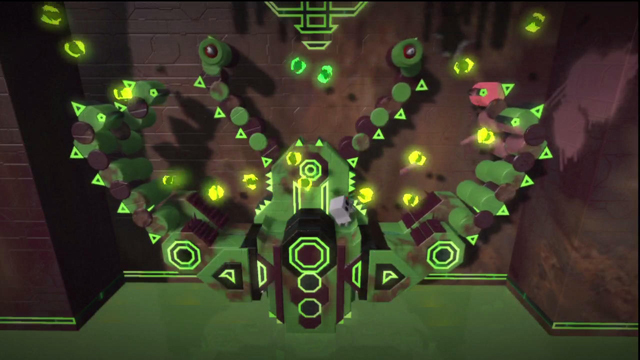 What goes into creating these boss battles and getting them to perform the way you want them to? Bosses are one of my favorite parts of the gaming experience. Games like Zelda and Mega-Man have bosses that, in one way or another, you need to figure out and exploit a weakness. It’s not necessarily just run n’ gun. On the other hand, there is something to be said about a Contra style boss-fight. Quick reflexes, accurate aim and patience. I try to bring a combination of the two, and the future is looking brighter, in terms of the possibilities. On a similar subject, your little characters that scurry about the levels trying to kill you are also quite unique. I've always thought that the little descriptions that go with these enemies was a nice touch. It gives the enemies a bit more depth and personality. What made you decide to do this, and how much thought goes into these little descritpions? Well, I usually don’t have the thermo space or time to focus on creating “story” type content. I fit it in where I can (RRX 3 final and final part 2 are fair examples of the extent of the actually story line). Despite the story aspects of my levels being very slim, that’s not to say there isn’t a world surrounding these levels. By showing that these robots have likes and disikes shows that they’re more than just “baddies.” They’re just following bad programming, and some of them even openly express thier dislike or indifference to their task of killing you. So, when it comes to the enemy text itself, I usually try to get a sense of the above. Either that, or I use a pun. You recently did a collaboration with the very underrated and very talented Vmethos. Up until that point, you had been strictly a solo creator, so what was it like suddenly working with someone else on the Robo Rampage series? In LittleBigPlanet, there are two kinds of "Hard" levels. There are the "stupid hard" levels that just have bullets and bomb-sharks flying haphazardly all over the place, and there are the "challenging hard" levels. This is the category that your levels fall into. There are WAYS to get past all of your enemies with a bit of strategy. Does it take a long time to work this sort of thing out? How do you approach something like this? I usually get an idea for a trap, obstacle, or enemy, build it, and test it. I know how far sack boy can jump from a running start, a standing start, etc. I know how fast he can move, and how quickly he can build momentum. I know how he reacts to most possibe situations. I usually make something so it’s just barely possible, and then bring it back a few shades. I figure, if I can do it very easily, then it should provide an appropriate challenge to the more casual player, or someone that may not know “what’s coming.” Sometimes this is easier than others. And some times, it may prove more difficult to make a concept more challengeing. The number 5 plays a very big role in the second level of Robo Rampage X3, and I've heard it's a great story. So, spill it. What's the significance of the number 5? I couldn't say. Next question. Your levels have always been very Mega Man-esque in nature, yet LittlebigPlanet lacked a proper gun until December of 2008. 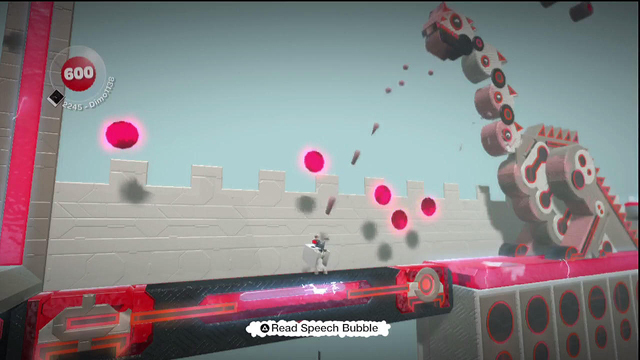 What sort of challenges did you face trying to create Mega Man style levels in pre-gun LBP? I try not to think of those days. That’s part of the reason why I ended the original series and started Robo-Rampage X. The paintinator changed everything. Not to say the older levels aren’t worth playing, just expect a different experience. They are rather primitive. Color scheme and theme both play a big part in your levels. What comes first, choosing a theme or choosing the colors that will represent that theme? And how do you go about doing this? I usually do this in a similar way to the way I do most everything. Muck around with a bunch of crap that I don’t like untill I find a combination of materials and colors that I do like. I usually like to mix “robotic” themes and colors with more natural themes and colors, like rocks and water. Lighting can be important, as well. You've been working with the beta for a little while and probably have a good understanding of the tools by now. With this knowledge, what are your plans for LittleBigPlanet 2? Well, I don’t want to say too much, because there’s no saying how much I’m actually thinking of will get done. I’m planning on continuing the Robo-Rampage games in a new series called RobotXplodeR (RXR), which will feature a custom weapons system, unlockable abilities, more advanced enemies and bosses, and tons more neat stuff. The story of the game will take place years after a “robot civil war.” Using that theme as a backdrop, I plan on doing some different types of games to fill in the storyline between the end of RRX 3 and the beginning of RXR. Most likely something top down, and most likely something more strategy or puzzle based. And now, a lighthearted question... and BE HONEST. Since your levels are so gosh darned hard, do you have a hard time completing them at first? lol. Ok, so after not playing for a while after making RRX2, I finally came back to LBP. I decided to play through my old levels for inspiration, and there were a few points where I was cursing myself for being such an anti-social prick. So, yeah, sometimes I have a hard time. That said, I can still finish all of my levels, most of the time. RRX3 part 1 is the only level I’ve made myself that I’ve been able to ace. My advice to all creators is: Make the levels YOU want to play. BE what YOU want to see more of in the community. If you tailor your levels to simply get hearts, stars and/or approval, you limit your own creative output, and potentially deny the community of some truly amazing creations. Also, in celebration of this honor of being highlighted, and to prove I’m not a total villian, I am going to UNLOCK ALL ROBO-RAMPAGE X 3 LEVELS on the publication date of this interview! I suggest you still play them in order, and try to find all the secrets. Enjoy! This guy stole BoxGhost's lunch. This means war! Great Scott! It's awful! The crew has a Spotlight due this weekend, and they're not done with it! If only they had a little bit more time... and perhaps a shiny DeLorean! And for those of you with shiny iPhones and iPads, the direct link is here! So, let's have a short recap, shall we? Awesome visuals, insanely hard, but extremely fun gameplay, and giant robots. Sure, hard levels might not be for everyone, but come on! Who DOESN'T love giant robots? I'm going to be honest with you. You're going to die. Alot. But once you get past the fact that Dimo doesn't spoonfeed his gameplay to players, I think you can appreciate how much work goes into one of these RoboRampage levels. So, pull up a chair, charge your blaster... erm... I mean, your controller, and get ready to take on Dr. Dimo in a fight to save man- and robotkind! EDIT: Okay, now that I've gotten that in, good job on fixing whatever disaster I hear befell the team. Nice work. Nice spotlight guys! Keep it up! Congrats Dimo1138! Well deserved spotlight. Great interview. Love the Creator Rewind. Well done spotlight team, a good review which has kept me reading for a while. I love these spotlights and well done Dimo, I've never heard of your levels but the bosses look PRETTY AWESOME and they definately stand out. 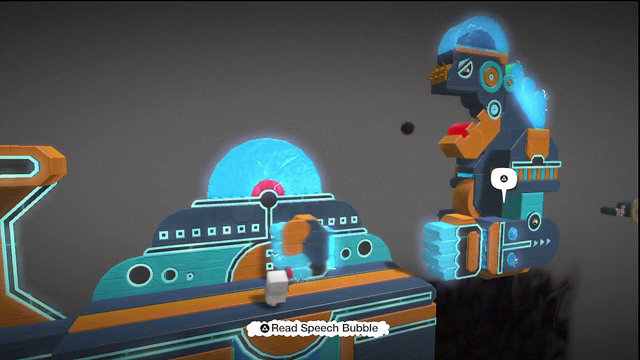 You'll have some VERY interesting stuff in LBP2 and I'll be sure to check it out! Thanks again, spotlight crew. I've been waiting a while since the last review an I'm glad I've finally got some paper to sink my teeth into. Not literally. Wow, looks like this is going to be another great spotlight. Congratulations Dimo! I can't play your levels yet, but this is the next best thing. And Dimo is such an under-rated creator, the bosses he comes up with are better than any I've ever seen. A well deserved spotlight as always. And hey, any future built by Dimo sounds like a great place to me! Congratulations on the spotlight!! Exactly why I like the spotlights. They feature jewels underrated by the junk on top. I haven't heard of this guy so that proves my point. I should go play his levels. *Sigh* Those levels look awesome... OH WAIT! i got a PS3 now, I can play the spotlight levels Finally! congrats on the spotlight! Loved the video! This spotlight excites me for many reasons. 1. It's been about five months in the making, 2. Dimo is an EXCELLENT and extremely underrated creator. I met dimo two years ago on gamefaqs, and I started playtesting some of his levels. The difficulty discouraged many players, and it always made me extremely sad because of how well put together the levels are. Players in lbp generally shy away from challenging levels, and that's why I chose dimo for the spotlight. I seriously hope you guys can appreciate these levels for the masterpieces that they are. And be warned: You're going to die a lot! Well deserved spotlight. I still haven't beaten the midboss for RRX but I still find myself giving it a play every now and again. Dimo is a great creator! I've queued all unlocked levels to try out today. You're going to die. Alot. And be warned: You're going to die a lot! Those Boss Battles look INSANE!!! Woah, one very inspiring creator right here. I'm not really sure if I've heard of these levels but I certainly haven't and right now I know for sure that I have to. Same here man! Dimo you already got a heart from me and I haven't even played yet. I have pretty much beaten every Mega Man game so this is certainly going to meet my fancy.